Today, on The New Compass Daily, It appeared an article by Mons. Antonio Love, a signatory subsidiary plea in which it makes a charge of seven heresies, apparently, It would not be such. And, who thinks, wrong, because he misunderstood the text [cf. correction filial – Italian text]. With this article Mons. Antonio Livi comes into full communion with the Pope Francis I, sharing with His Holiness an element that characterizes this pontificate: "The Holy Father was misheard", "It has been misinterpreted ', "With that he wanted to say anything, but it has been misrepresented because of journalists who have reported bad his words ". A script with which Mons. Antonio Love It fits fully in what is called and said improperly bergogliano spirit, to use this unfortunate journalistic term that has nothing to do with the Church and ecclesiastical language, least of all with the theological. his words, actis, and omissionibus, The joy of love, which we have, and we have said in those statements in the book of, The holiness of the right for you, your he held up the case;, et in Ecclesia (we dare not to judge the intelligence we do not know what kind of and how great the) has the following propositions:, together with the office of the public as well as the act of a private individual, growth:, wrong course and misbelievers. By means of words, acts and omissions and through passages of the document The joy of love, Your Holiness has sustained, directly or indirectly (how and how much knowledge we do not know or want to judge him), The following false and heretical propositions, propagated in the Church so much with the public office as a private act. Despite the self-evident and obvious clarity of these words, today, several extensor, They are claiming that he had never accused of heresy, the Supreme Pontiff, even after signing a text that reads: "Your Holiness has sustained, directly or indirectly […] The following false and heretical propositions'. In conclusion, Article in front of contradiction and clarification of Mons. Antonio Livi really come back to mind the words of that “Holy Doctor of the Church ” of Hegel, in a phrase attributed to him says: "If the facts do not fit the theory, so much the worse for the facts ". In the Holy Gospel we read these words: "No one puts a piece of new cloth on an old garment, because the patch pulls away from the cloak and the tear gets worse " [cf. Mt, 16]. Exactly what does that of Antonio Livi The New Daily Compass Today tore his clothes under the title "Correction to the Pope, the truth that readers deserve ". Here, If there is one thing that the readers just do not deserve, all, and especially our faithful, It is to be treated as perfect idiots. Because when you start to play on words, It goes beyond the ambit of the theology, that demands and inherently clear and precise terms that mean and can mean only one thing, not a multiplicity of things. Otherwise it comes precisely from the scope theological to enter the sophistry and in those legal Byzantinisms that acted as a prelude to the Roman Empire, this thing that, as church historian, should know first of all Roberto de Mattei [cf. WHO]. Equally sweet Cristina Siccardi, which now tries to hide behind the "maternal protection of Mary» [WHO], it is good to remember to be Mother of the Church and Mother of Priests, Mother of the politicians do not clumsy, low alloy such, that behind doctrinal and theological pretexts conceal completely different purposes, discontent, frustrations, noble caste ceased to exist, and not least economic interests, as do the ultra-traditionalists, on one side it is for some very expensive, while for others it is very profitable. Therefore, Who word hurts word perishes: Indeed, the charge - it goes without saying legitimate - that is made in several steps of the post-synodal exhortation text The joy of love, It is just to be clear, to be ambiguous traits, foretaste of the most diverse and disparate interpretations, as it is written in a language and terms not always clear. Antonio Livi fell in the same game through the text signed by him, which according to him the words would be misinterpreted, or the meaning of the words themselves. All this said by a philosopher and theologian who should know very well that the term hypostasis, It has a precise meaning and not a variety of meanings, because internally it not only contains the precise explanation, but also the interpretation already given through the enunciation of a dogma, as well as the term transubstantiation and so. And these terms, in substance and in their meaning, remain intact even if transposed or translated into other languages. "He is not personally and formally into heresy, He does not have said so blatant. He does not proclaim things that are heretical, however, she makes her say to others without correct or disprove, therefore avallandole. I think it's at least a sin against prudence and pastoral practice has a damaging. We try to do is to repent in the practice both in the doctrine which is suffering from the Modernism. This initiative is a must " [cf. WHO]. Mons. Antonio Livi Has not realized he had said, with his answer, the Supreme Pontiff, he said, is done to such an extent fearful and devoid of manly attributes, who even dare to enunciate heresies, It makes proclaim to others, Then he endorse tacitly? Or maybe we understood and misunderstood this too his masterful response? The Holy Father Francis has many flaws, more than once we have them brought to light and we have discussed on The island of Patmos [cf. WHO], but if there is one thing of which he is not without, It is just the manly attributes. «[…] as I've written many times about the Post-Synodal Apostolic The joy of love, the Pope wanted to be deliberately ambiguous. Why Is That? Because on one hand it would mean essentially heretical things, and the other knows that can not say '. Reading this unfortunate phrase in the light of logic, law and theology itself, this petty talk and express themselves is called “of intentions”. And for over an hour, before a large audience, Mons. Antonio Love, recorded and filmed, Finally transcribed and published, He has established these and other worse things. No then proceed over, we refer readers to read this his keynote held last year [the keynote it is readable WHO], waiting for the director of The New Compass Daily soon publish another of his denial article more or less marked on the principle that "If the facts do not fit the theory, so much the worse for the facts ". And, it goes without saying, with the addition, by Archbishop. Antonio Livi that, those who think like me, It is a historicist, a rahneriano and a dangerous modernist heretic. Unaware that, to be Orthodox theologians, not enough to be opposed to the theological speculations of Karl Rahner, only to act, in some hard facts, in so much worse than it has done this dangerous German Jesuit theologian. Therefore, dear Bishop. 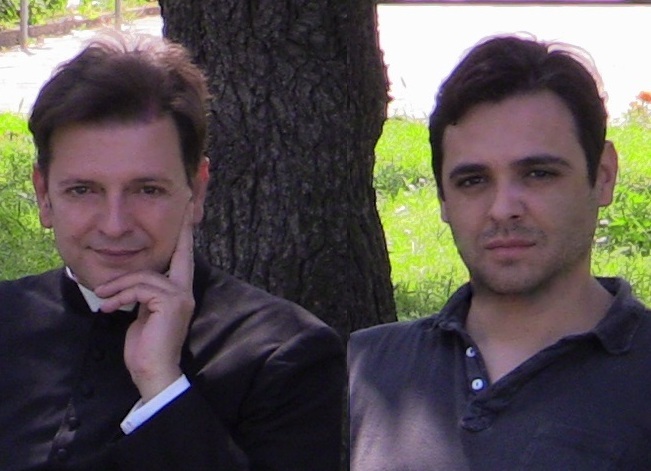 Antonio Love, Also in this have the humility to learn from an authentic man of God as Father Giovanni Cavalcoli, who studied for thirty years and then criticized in any way dangerous thought of Karl Rahner, He has never failed to always bring to light, also and especially, the many interesting aspects in it. So how many times, Father Ariel S. Levi Gualdo, sworn enemy of modernism, He has not failed to highlight both the objective problem of the "reactive modernism to an excessive rigor ', is the fact that the poor Don Ernesto Buonaiuti, after his deserved condemnation, It was treated by the Ecclesiastical Authority with a lack of truly inhuman charity; because the Mother Church can not be treated inhumanely even a dangerous heretic, severely if, but not inhumanely. It's this one, incidentally, is called: intellectual honesty, in the absence of which falls in the blind ideology, and instead of doing theology, you risk doing only subjective egology. (D)inanza the painful story of Mons. Antonio Livi comes to mind Socrates, that shortly before drinking the hemlock he said: "Better to die with the body healthy to avoid canceling". In any case, we are certain that Bishop. Antonio Love, man of faith and of great priestly piety, He would have no difficulty, to health or punishment of eternal damnation of his soul, to solemnly declare that, starting from 2014 today, He never claimed that the Pope Francis I is heretical. He never said anything like that to any person, No group of people, in any circle and chose to rally people. May, in any of its private message, directed to one or more persons, He responded to questions placed to him to be faithful lost and disoriented, declaring that the Pope Francis is a heretic, and he never told anyone, with all the details of the case, what his heresies. A similar statement, it would not trouble even the retired bishop and behind the scenes of this text uploaded several lay in good faith, using his episcopal authority to lead them into serious mistake. This prelate, which he has never exceeded and digested the anger of not having been made a cardinal, on the other hand, always worth the health or eternal damnation of his soul, could also add the reassurance that in any where, to any person and any group of people, he never claimed, as of the end of 2013, that the Pope Francis I, in addition to being a heretic, It would even be linked to the International Masonry (!?). Faced with this heartbreaking desolation, it is our desire to postpone Readers to an article written in 2015 by Father Giovanni Cavalcoli and dedicated to apologia of pride. It's a very enlightening article, in which the Dominican theologian indicate and explain to what extent, the intellectual, It has always been the worst form of arrogance. That which among other things prevents the haughty to apologize, after blatantly wrong, transforming the fact that "I confess to almighty God and to you my brothers that I have sinned in thought, words, works and omissions', only in a rhythmic chant, especially impressive if he recited in Latin [Article by Giovanni Cavalcoli is readable WHO]. Also this article does not seem satisfactory: is largely a dispute over Bishop. Livi, in terms of which not within. The only significant part is the analysis of the aforementioned paragraph of the document; but it is a part of the document, then there is another paragraph at the bottom which clarifies the concept (do not carry over due to space, but it is easily). Ok: Perhaps you could write better and perhaps it is the result of a compromise between two “anime” different in the signatory (What quoted by Msgr. Livi). But the way, per me, it remains unclear. I also believe that the apparent ambiguity is caused by the evident ambiguity of the Pope: Francis writes documents and acts so that other support heresy and refuses to answer to anyone on the clarification – leaving even die two cardinals “outstanding” – referring to informal interviews with his collaborators. Please, do not tell me that this is a manly behavior: a man confronts things firsthand, as you do, Mgr. Livi and other. If Francis does it on purpose or not, It is not my job to say: but the fact is evident. The “correction” this fact puts in evidence. "Please, do not tell me that this is a manly behavior: a man confronts things firsthand, as you do, Mgr. Livi and other ". Certain Latin American psychologies, and in particular the Argentines, They have difficulty in expressing with some clarity, for its own cultural discourse, no will to muddy the waters. And not just Argentines. For example, they come to mind certain Mexican, They never say things directly but always indirectly, often making use of innuendo and double meaning phrases. It is not a speech of deliberate ambiguity – that if the Pope does not fail, the ambiguity! -, but a different mode of expression linked to different traditions and cultures. For instance: Once again I, in Rome, in the park of a priestly house, I was discussing so lovingly animated with a priest, both raising his voice and hacking. They ran a little later a group of priests originate from different countries of Latin to ask if everything was alright. We answered: "Of course!». They they continued to be amazed and perplexed, given the way in which we discussed, because they were afraid that at any moment we could take to blows. And this served to them – that only a few weeks ago they were in Rome -, to understand our completely different way to relate and talk in private but sometimes even in public. Neither Father Giovanni Cavalcoli nor I have never denied that The joy of love there are steps unclear, is proved by the fact that some Episcopal Conferences, in a completely unlawful, They are giving the Holy Communion for divorced and remarried after chatting a few minutes made with a priest who should be a “prudent and careful discernment” of the problem, ie how they are doing in Italy Sicilian Bishops, worthy children of the Leopard, regardless that anyway, no document allows them to admit to the Eucharist people living in irregular marriage situations, even after “prudent and careful discernment” of the problem. That's why, ourselves, several times, we asked that the Holy Father did light, if anything, with the publication of a guide by the Congregation for the Doctrine of the Faith or its short Motu Proprio. However, what we never did, It is to accuse him of “I never uttered heresies but, with its ambiguous attitude, to induce others to do so, then endorsing others heresies”. That we never did, or ever we could do it. what I meant with “virile attitude” It was not so much linked to the intensity of the form of communication, when the taking of personal responsibility. For instance: discuss directly with the other party, not doing mean things to others. Do not keep a seemingly benevolent attitude and “misericordista” in a controversy, then letting the employees responsible for intervening with more direct tone… etc. Not to mention the repressive measures, always made to practice from other, not to undermine the image “misericordista”… I hope I explained. And how the card proposal was liquidated. Gerhard Müller what you think? “An assertion does not hold the magisterial “shape” the dogmatic definition can never be considered in contradiction with the dogma already established by Tradition, and where there is no contradiction with the dogma there's no heresy. there may be… loose wording (lack of doctrinal expression) or inappropriate (lack of pastoral prudence) Dogma… Theology, in front of a magisterial text which is semantically uncertain and ambiguous, She can not scream heresy” (Theology and magisterium today, Publisher Leonardo da Vinci, pp. 11, 12). First Bishop. Livi, against which here it is made an inappropriate criticism that disregard their written texts which explains his personal and official position, He had clearly stated (p. 10) which excludes the possibility of a heretical Pope, because of FAITH in the church and in prayer and in the promises of Christ. I have no reason to believe that his intentions, confirmed in articles published in the New Daily Compass, in order to reach as many as possible, They were different in the sign correction. It was he who recommended faith in Christ Church guidance and the Pope. By means of words, acts and omissions and through passages of the document Amoris laetitia, Your Holiness has sustained, directly or indirectly (how and how much knowledge we do not know or want to judge him), The following false and heretical propositions, propagated in the Church so much with the public office as a private act. That said, to me is that the distinguished scholar well known Latin and Italian language well. Estimate her, but price in the light of what has been signed, not in the light of ” do not I meant“, “I did not want to“, or that “people have misunderstood“, because otherwise it really falls in sophistry and byzantine. It was enough to simply say: “I was wrong” and I lacked prudence in. They mistook the Fathers and Doctors of the Church, You do not understand why it can not be mistaken for Antonio Livi, while remaining in spite of a very high level theologian.